Nearly 300 people, including many original donors, attended A Fund for Women’s annual dinner at the Edgewater Hotel on October 9 to recognize grant recipients and celebrate the philanthropic fund’s milestone 25th anniversary. At the event, A Fund for Women announced grants totaling $105,000 and the launch of a campaign to increase its endowment, which now stands at a little over $2.7 million. The fund has made more than 125 grants totaling $1.3 million during the course of its 25 years. In honor of the 25th anniversary, A Fund for Women’s founder Jane Coleman challenged donors to leave a gift to the fund in their will or estate plan. For the first 25 people who make a planned giving commitment, Coleman has agreed to make a matching contribution of $1,000. An anonymous donor has also offered a matching grant of up to $25,000 for donations made before December 31, 2018. Latino Academy of Workforce Development (LAWD) received $15,000 for its program Spanish GED for Latinas, which will empower at least 75 women to make progress toward attaining GEDs and provide support services that remove barriers, such as tutoring, career assessment, resume creation, transportation, and child care. The grant will help LAWD initiate a GED On-the-Go component that provides Spanish GED instruction and case management at three rural Dane County locations. Road Home of Dane County received $10,000 to support its Women’s Employment & Training Fund, which provides resources for child care, car repairs, certified nursing assistant testing, GED testing, college application fees, clothing and transportation. Operation Fresh Start received $10,000 for its initiative to expand a re-engagement program for young women and girls who have disengaged from high school, including guidance counseling, case management and assistance attaining high school diplomas or GEDs. In addition to its 2018 grants, A Fund for Women continues to fund Doyenne Group to support professional development opportunities for women entrepreneurs focusing on mentorship, business strategy, and business venture growth. This year's grant is $15,000. Requests from grant applicants in the 2018 cycle totaled $277,630. Each application outlined worthy programs that would address pressing challenges in Dane County. In its decision-making, the Advisory Board of A Fund for Women took into account applicants’ capacity and alignment with its economic security initiative, with a bias toward fully funding programs over mere partial funding. In 1993, Madison Community Foundation Executive Director Jane Coleman called together “a group of ten or twelve women who I admired,” she recalled, “and it very quickly became apparent that they agreed, Madison was ready for a fund for women.” That led her to ask one hundred women for $1000 each, to establish an endowment fund. A Fund for Women is a permanent endowment fund within the Madison Community Foundation. The organization conducted community listening sessions in 2016, which generated a focus on funding systems that increase access to postsecondary education leading to family-supporting wages, programs that develop women’s financial literacy, and addressing systems that create barriers for women to access education and employment. A Fund for Women grants help local nonprofits improve the lives of women of color, single mothers, and women with fragile economic status. At the annual dinner and fundraiser on October 12, 2017, A Fund for Women announced four grants supporting efforts to reduce poverty and increase opportunities for education and family-sustaining jobs, as part of its ongoing Earn-Save-Invest Initiative. Latino Leadership Academy serves low-income or unemployed Latino adults. Latino Academy of Workforce Development (LAWD) is the only organization in Dane County to offer a GED course in Spanish and a Madison College transition program in Spanish. This is one of many ways that LAWD helps students advance their credentials by removing potential barriers. The $15,000 grant will assist more than 60% of LAWD students who are women enrolled in its job training programs. These programs lead to stable, well-paying entry-level jobs in the construction and transportation fields. Our grant will not only help Latinas secure gainful employment, but will also benefit their families. On a bigger scale, this project will impact Dane County by reducing the reliance on social services, giving Latinas the skills to contribute to the job force, and reduce the achievement gap for Latino children. Onward Odyssey expands the impact of the Odyssey Project, a life-changing initiative to empower adults near the poverty level to overcome adversity and pursue higher education. Onward Odyssey’s program of college-level courses and counseling offers a supportive learning community for the over 400 alumni of the Odyssey Project. It leverages the strong relationships that Odyssey Project alumni have with each other and with faculty and staff. Odyssey helps to light a spark within students; Onward Odyssey feeds this flame. The $19,500 grant will help fund a fourth year of Writing Composition to the Onward Odyssey program, plus Special Education Paraprofessional courses and the second pilot year of the Food Systems and Food Justice course. It will help Onward Odyssey deliver wrap-around support including meals, childcare, transportation, textbooks, technology support, and assistance with emergency needs. It will support development of personalized academic and career roadmaps, and more proactive outreach to Odyssey alumni pursuing higher education. 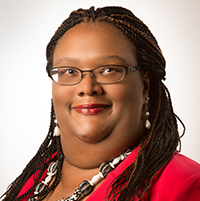 Women in YWeb Career Academy (YWebCA) builds on the successful YWCA Madison education and job placement program for women and people of color, who are underrepresented in technology. Participants receive instruction in website development, job readiness, team building, and computer programming. Upon completion, graduates have opportunities to attend conferences, network with local tech professionals, and participate in job-shadowing and paid internships with local tech partners. YWebCA narrows the diversity gap in the tech industry by helping to provide qualified candidates to area employers. In addition to its 2017 grants, A Fund for Women continues to support the Doyenne Group Evergreen Fund, an innovative entrepreneurial resource designed to financially support the launch, growth, and sustainability of businesses owned by women and people of color. A Fund for Women’s $10,000 grant is pooled with resources from the Wisconsin Economic Development Corporation, Wisconsin Women’s Business Initiative Corporation and the city of Madison to provide a mixture of grants, loans, equity investments, and program support for Madison area startups. Requests from grant applicants in the 2017 cycle totaled $283,560. Each application outlined worthy programs that would address pressing challenges in Dane County. A growing body of research directly links community, state and national vitality to the empowerment of women. The Institute of Women’s Policy Research rated Wisconsin a C+ grade in employment and earnings. In its decision-making, the Advisory Board of A Fund for Women took into account applicants’ capacity-building and alignment with our Earn-Save-Invest initiative, with a bias toward fully funding programs over mere partial funding. The Earn-Save-Invest Initiative involved Listening Summits in 2016 that led to a focus on improving the lives of women of color, single mothers ages 20-40, and women with fragile economic status. The Initiative has led A Fund for Women to focus on funding (1) systems that increase accessibility of postsecondary education that supports women in career development and opportunities to earn a family-supporting wage; (2) programs that develop women’s financial literacy; and (3) addressing systems that create barriers for women to access education and employment, such as affordable child care, reliable transportation, and accessible and affordable health care. 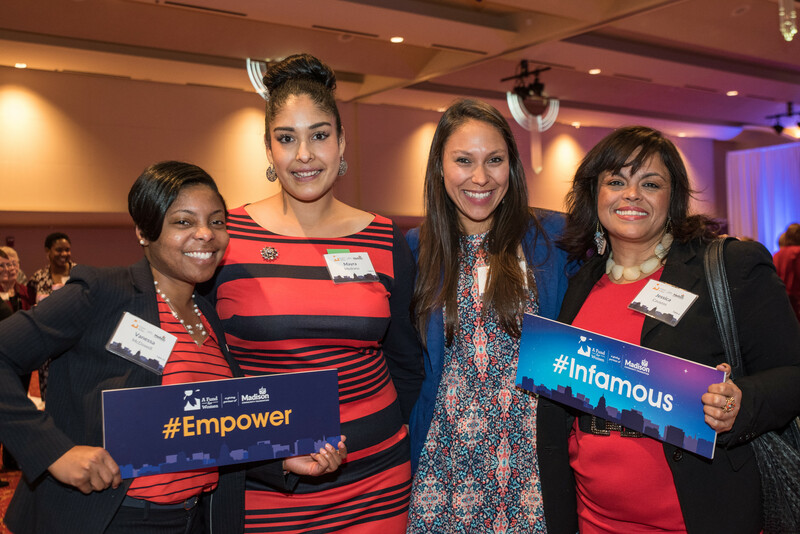 Recognizing the role higher education plays in economic empowerment, A Fund For Women selected Onward Odyssey – Empowering Women to receive a $20,000 grant in its 2016 cycle. Tai’Kiah Phillips is rocking college as a result. Onward Odyssey is an outgrowth of the UW-Madison’s Odyssey Project, a free humanities course offered through UW–Madison’s Division of Continuing Studies and English Department to adult students facing economic barriers to college. Each year since 2003, the Odyssey Project has given 30 students free tuition, textbooks, and childcare, allowing them to participate in a two-semester humanities course and earn six college credits. Many Odyssey graduates go on to finish college degrees. Over the years, the program has grown to include an Odyssey Junior program for children and Onward Odyssey to help program graduates continue their education. Onward Odyssey – Empowering Women serves at-risk women with four programs: Special Education Assistant (SEA) training; Odyssey English 100; Odyssey Introduction to Food Systems; and one-on-one academic coaching. Tai’Kiah Phillips participated in SEA in 2016 and Odyssey English 100 in Spring 2017. The arrival of daughter Taraji had interrupted Tai’Kiah’s plans to return to college after dropping out of UW-Whitewater. She had done well in high school but the transition to college was difficult. “You’re away from home, you think you’re so mature, but you get there—wow!” she said. Tai’Kiah returned to Madison and began working. “Life happened,” interrupting her academic plans. “When I got to Odyssey, they pushed me back in the right direction,” she said. The SEA program prepared Tai’Kiah to pass the exam for the credential required to work in the Madison Metropolitan School District. Odyssey English 100 brings Tai’Kiah closer to her goal of a career as a teacher. Tai’Kiah is now studying at Madison College. 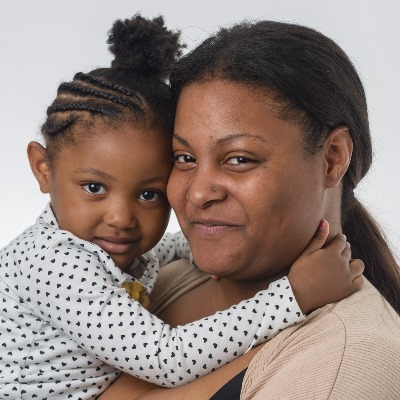 “The Odyssey program gave me an opportunity to prove to myself and everyone else that I can do school, and I can be a full-time mother, and I can still try to reach my goals,” she said. “Tai’Kiah illustrates how motivated our Odyssey students are and how helpful the Fund for Women grant has been in empowering young mothers to overcome adversity and achieve dreams through higher education,” said Emily Auerbach, Professor of English and Director of the UW Odyssey Project. Please consider a gift to A Fund for Women today. Give to A Fund for Women in your will or estate plan.